A weed show like no other. 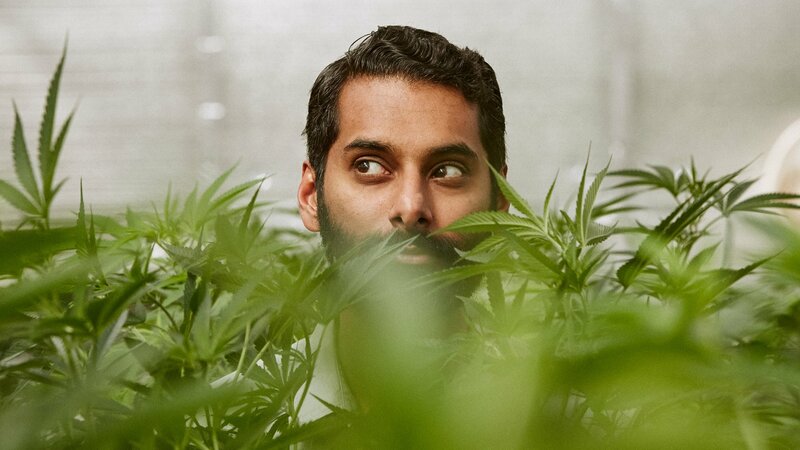 In an age of radical transformation for the culture of marijuana, correspondent Krishna Andavolu explores these heady times by meeting the people whose lives hang in the balance of our new pot paradigm. Krishna meets kids taking hyper-potent weed oil to treat their cancer. Krishna meets Vets exploring and using weed to treat PTSD. Krishna investigates how Bernard Noble's two joints led to 13 years in prison. Krishna goes to Colorado to meet the families & entrepreneurs of the Green Rush. Krishna meets growers in CA whose farms are threatened by corporate interests. In war-torn Congo, communities turn to weed to eke out a living. Can the booming marijuana business become the first gender-equal industry? Krishna heads to DC and Amsterdam to see if partial pot legalization can work.